Each time, Travis told Jed to stop but he kept it going. And today Jed and his buddy held Travis and Ava down and tried to force them to kiss. Staying as calm as I could, I asked Travis what his teacher did when that happened. “Nothing. She didn’t see it.” And when I asked him what she said when he told her, he shrugged and said he didn’t because that would be tattling and tattling is against the class rules. One of the ways we can help our children keep their strength through incidents of bullying, as well as less extreme friendship difficulties, is to teach them how to get help when needed. Knowing the difference between tattling and reporting is a primary tool that can grant kids permission to seek help. The simple distinction is in the goal of the action. When tattling, the intent of telling a teacher is to get someone in trouble or to get attention. When reporting, the goal is to get help when someone is doing something harmful or hurtful, when someone needs protection or is scared. Understanding these concepts, the child feels empowered to act when they experience injustice, building their sense of control in the world. Without it, they can feel vulnerable to hurtful behavior, powerless, and over time school may begin to feel unsafe. As much as we’d wish it otherwise, bullying begins as soon as children enter school. As parents, if we understand how to distinguish between an incident of bullying and a child testing the limits of their words or actions, we can respond most effectively and can we guide our children to a productive response of their own. Bullying is when one person intentionally uses their power (words, physicality, popularity) to hurt or control another. It is usually repeated and causes the target to feel they can’t speak up or object without the risk of being hurt further. For example, if a child says something hurtful to another, but stops when asked or when told that the words hurt, it would qualify as the latter. But when the child is asked to stop and the hurtful words or acts intensify and are repeated, then the situation could be defined as bullying. Travis experienced a clear example of bullying. I spoke to the teacher making sure she knew what had happened, discussed with her how she would address it while protecting Travis and Ava from retaliation, and getting her commitment to clarify with the class the importance of reporting when someone needs help, differentiating reporting from tattling. I then checked in with Travis each day for the first few days, and continue to do so periodically to see that he feels he can get help when he needs it and that school feels safe again. As parents, we can’t prevent our children from ever experiencing bullying, or at least witnessing it as a bystander, but we can help them hold on to their sense of agency and support their ability to speak up against mistreatment of themselves or others. In addition to knowing when and how to get help when needed, we can also engage them in a discussion about courage, and what it really means to be courageous. For many children, this word is associated with star athletes or superheroes. But understanding courage in its many earthly forms can be another powerful tool for young children, and can lay the foundation for good decision-making in adolescence. We can point out acts of courage when we witness them, and acknowledge it and offer praise when our child demonstrates it. It takes courage to disagree with someone and risk that they won’t be your friend. It takes courage to not follow along when someone is trying to get you to do something you think isn’t right. It takes courage to stand up for someone who is being made a target of bullying. It takes courage to try something new and risk making a mistake. Acknowledging and praising our children for their acts of courage can make it easier for them to live according to the values they are learning from us and that they are establishing for themselves. It will also be a valuable tool later on as they work their way through middle school and will support them in making smart decisions with confidence during their teenage years. Being available to listen to their difficult social experiences with empathy, and being sensitive to the delicacy of the situations that arise with peers is among our most important roles. We can guide them in their response, but we don’t want to be the parent that marches into school to demand justice. That never ends well. It humiliates our child and puts them at risk for retaliation and increased mistreatment if the teachers are not skilled in these matters, and often they are not. 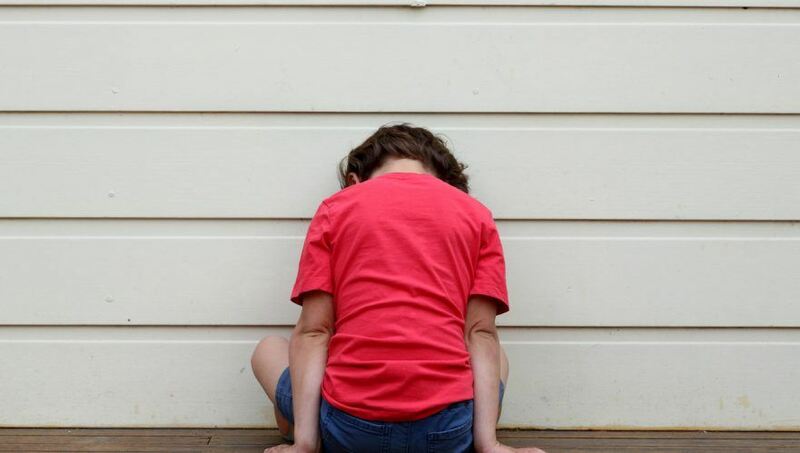 When bullying is involved, we may need to talk with their teachers or administrators to ensure the situation is being handled in a way that protects our child, re-establishes their sense of safety at school, and teaches tools that empower our child to speak up. And we can practice the skills that help us in so many matters of parenting: Listen, demonstrate empathy, offer suggestions, listen some more, and of course, remind them how much we love them. This article was originally published August 28, 2017. Join our “Motherboard” To Get Your Questions Answered!